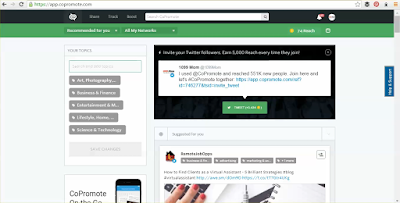 Review of CoPromote for Twitter: Can It Grow My Twitter Reach? We love trying out new services before they are well-known. 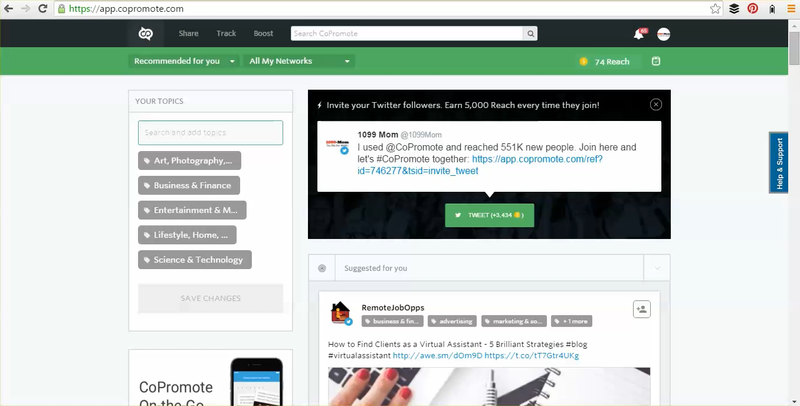 CoPromote is one of those tools that I was eager to sign up for and see just how it worked. It reportedly allows you to increase your reach on Twitter with a "share for share" method of currency. Read on to see what we liked about it; we've included a video tutorial for you, as well! It's exactly what the name implies. 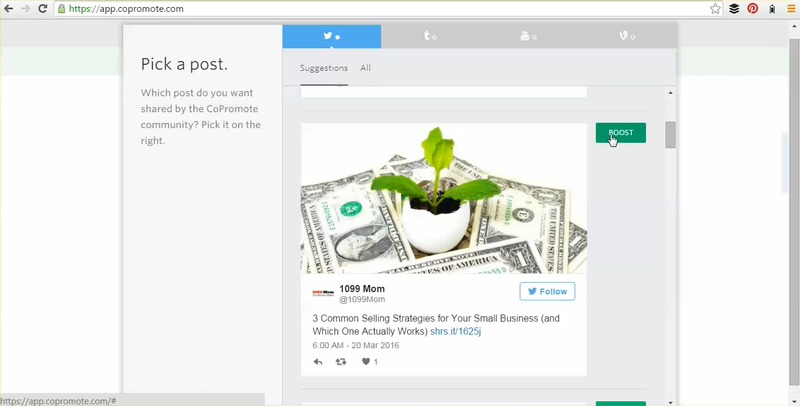 CoPromote allows you to select the tweet of your choosing, from your own account, to have others retweet on Twitter. You can pick any tweet that follows the rules and spirit of the CoPromote site, which means no spammy, affiliate, make money from home, or sweepstakes tweets. Does that mean I can't use it to promote my business? There are a few ways to make it work. I find that, as long as the destination link is on the up-and-up, you can share remote work tips, online growth advice, and general business know-how without causing your content to get flagged. What will encourage others to share? Use great keywords that explain what your tweet is about. Include a call to action. Share links that are useful and noteworthy. Basically, use the same guidelines for the perfect tweet in those things you want shared on CoPromote. Sign up for CoPromote here and start earning more reach with Twitter. Have you tried it?